Conservationists in B.C. 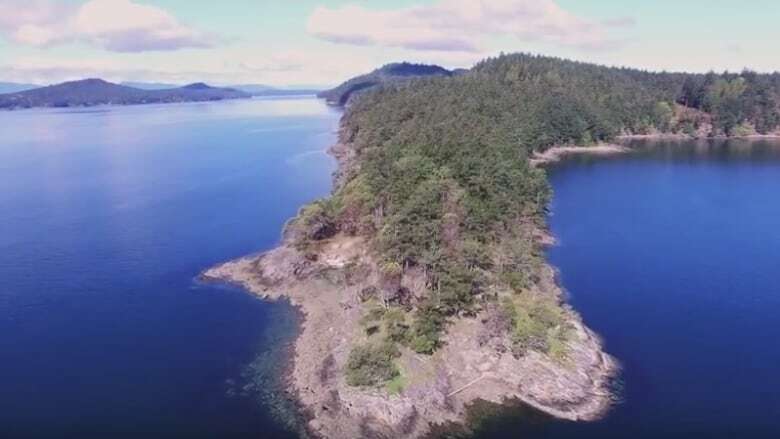 's Southern Gulf Islands are celebrating a win after a unique three-way partnership that allowed them to purchase 26 hectares on Mayne Island known as St. John Point. "Together we have assured the protection of this magnificent stretch of Coastal Douglas Fir landscape and over two kilometres of coastline," said Malcolm Inglis, president of the Mayne Island Conservancy, in a news release. Mayne Island is located about 40 kilometres southwest of Vancouver and can be accessed by ferry. St. John Point on Mayne Island is owned by three brothers, two of whom are United States residents. Prior to the sale, locals used the area informally. Now, it's been purchased through a partnership between the Capital Regional District (CRD) on Vancouver Island, the Mayne Island Conservancy Society and American Friends of Canadian Land Trusts. The CRD is giving $2 million towards the purchase through a park acquisition fund that has bought 4,608 hectares of land in the region since it was established in 2000. Local residents — around 1,000 people live on the island — have raised $2.1 million. "It was a huge, positive, full community effort," said Michael Dunn with the conservancy, which ran a campaign to support the purchase. It described protecting St. John Point and turning it into a regional park as a, "once-in-a-lifetime opportunity." The site was offered below market rate and that's when the American Friends of Canadian Land Trusts came in. The group was able to offer a tax receipt to the American owners of the property for the amount by which they reduced the price, which is considered a donation. "St. John Point will be a model for other Canadian government agencies and conservation organizations seeking a way to acquire properties owned by Americans," said Sandra Tassel from Friends. "The landowners' commitment to maintaining the natural character of St. John Point and willingness to donate a substantial percentage of the appraised value made this effort possible." St. John Point is described as a pristine nature area with shoreline bluffs, a small beach and and a trail network through mature forest stands. Only four per cent of Mayne Island is protected land. The addition of St. John Point brings that amount up to more than five per cent. The sale closes on Dec.15. An official opening is being planned for sometime in the new year. A previous version of this story stated local residents had raised $1.2 million. In fact, they have raised $2.1 million.